As many as 75 people a year in Dundee die unnecessarily as a result of air pollution, an environmental charity has claimed. 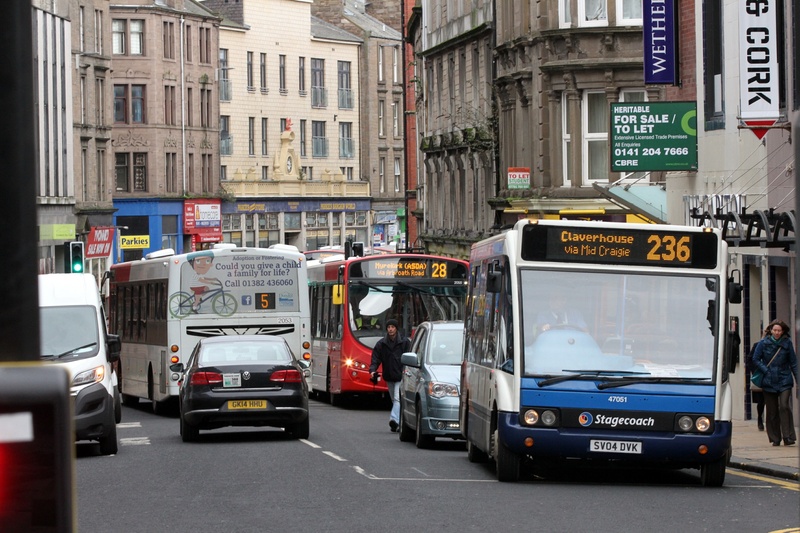 Two of Dundee’s busiest streets – Seagate and Lochee Road – continue to be among Scotland’s worst-polluted, according to figures released by Friends of the Earth Scotland (FoES). The new FoES study shows both of the city streets continue to harbour harmful amounts of nitrogen dioxide (NO2). European guidelines suggest streets should not have more than 40 microgrammes of NO2 per cubic metre of air – a standard that has been in place since January 2010. Despite this, Seagate has an average concentration of 43.42 microgrammes and Lochee Road has an average of 43.05 microgrammes. Andrew Llanwarne, Tayside coordinator for FoES, said the “poisonous” conditions were linked to up to 75 early deaths every year. The city council has previously said it is considering “radical” solutions for the city’s low emission zone, which is set to come into effect next year. Councillor Alan Ross, convener of Dundee City Council’s community safety and public protection committee, said: “We want to restore the balance of these streets in favour of people rather than traffic.